Longview is the forty-fifth largest city in the state of Texas. The city is mostly located in Gregg County, of which it is the county seat; a small part of Longview extends into the western part of neighboring Harrison County. Longview is located in East Texas, where Interstate 20 and U.S. Highways 80 and 259 converge just north of the Sabine River. According to the 2010 U.S. census, the city had a population of 80,455. The estimated population in 2017 was 81,522. Longview is the principal city of the Longview metropolitan statistical area, comprising Gregg, Upshur, and Rusk counties. The population of the metropolitan area as of 2017 census estimates is 217,481. Longview was established in the 1870s and became a railroad route in East Texas; the city was also the first incorporated town in Gregg County. Today, Longview is considered a major hub city for the region, as is the nearby city of Tyler. In 2014, Forbes magazine ranked Longview as the sixth fastest-growing small city in the United States. Companies with significant presence in Longview are Eastman Chemical and Trinity Rail Group and Consolidated Electrical Distributors; communities stimulating the city and metro area are LeTourneau University, Kilgore College, and the University of Texas at Tyler's Longview University Center. ✪ Shooting Range part 1 Longview Texas U.S.A.
✪ Home Inspector Longview, Texas Shares the Aerobic Septic System Evaluation | 903 485 7000 | Call Us! Longview was founded in the 1870s by Ossamus Hitch Methvin, Sr. In 1870, Methvin sold 100 acres (40 ha) to the Southern Pacific Railroad for one dollar to persuade them to build their line in the direction of land he owned. Later that year, he sold another 100 acres (40 ha) for $500 in gold. He hoped the coming of the railroad would increase the value of the rest of his land. Methvin coined the name of the town when he stated, "What a long view!" from his home. In June 1871, Longview was incorporated as the first town in Gregg County. In 1884 the elite Mobberly Hotel opened for business servicing the railroad travelers and served as the center of social gatherings for Longview. The hotel featured cherry wood furniture with carved bed posters, marble top wash stands, linen table cloths, electric crystal chandeliers and a fireplace in every room. Mobberly was located in the junction part of town near the train depot. The hotel was destroyed by fire on June 13, 1965. In July 1919, a reporter for The Chicago Defender was in Longview looking into the mysterious death of a black man named Lemuel Walters. An armed white mob attacked a home where the reporter, S.L. Jones, was staying and attempted to batter their way in. A gunfight began between the attackers and the men in the house. Eventually, Jones made a getaway. The white men then began to burn buildings in the black section of the town. In 1942, construction began on the Big Inch pipeline in Longview. From 1943 to 1945, the pipeline transported over 261,000,000 barrels of crude oil to the East Coast. At the time of construction, Big Inch and its smaller twin, Little Inch, comprised the longest petroleum pipeline ever built in the world. Both were integral in supplying the United States war effort in World War II. After World War II Longview's population grew from 24,502 to 40,050 in 1960, its growth fueled by migration from rural Gregg County and the annexation of Greggton and Spring Hill. Longview is located at 32°30′33″N 94°45′14″W﻿ / ﻿32.50917°N 94.75389°W﻿ / 32.50917; -94.75389 (32.509147, −94.753909). It is bordered to the west by the city of White Oak and is surrounded by many other cities and towns, including Kilgore (southwest), Gladewater (west), Gilmer (northwest), Ore City (north), Harleton (northeast), Hallsville (east), and Lakeport (southeast). It is 37 miles (60 km) northeast of the similarly sized city of Tyler. Winters are mild. Average snowfall is less than 2 inches (5 cm), with usually one or two ice storms each winter. Normal highs are from the 50s–60s. Lows range from the 30s to the 40s. In Longview, the temperature rarely dips below 20 °F and occasionally can get as warm as 80 °F during the winter months. The spring season brings storms as a transition from winter to summer. Temperatures range from the 60s to 80s for the high, and the 40s to the 60s for the low. The average date of the last frost is April 4. Severe thunderstorms are common during this season as cold fronts pass through the area. This is the wettest time of year. Summers are hot and humid. Temperatures slowly climb from the 90s to over 100 going into the dog days of summer; lows are in the 70s. This is the driest and sunniest time of year. The heat index can climb to around 110 °F. Fall is marked by the first cold front that knocks the 100-degree temperatures down into the 90s. Foliage begins to change in late October. Temperatures cool down and dew points drop. In the 2010 census, Longview had a population of 80,455. The median age was 34. The racial and ethnic composition of the population was 56.2% non-Hispanic white, 22.6% non-Hispanic black, 0.5% Native American, 1.4% Asian, 9.5% from some other race, 2.3% from two or more races and 18.0% Hispanic or Latino. In the census of 2000, 73,344 people, 28,363 households, and 19,116 families resided in the city. The population density was 1,341.8 people per square mile (518.1/km²). The 30,727 housing units averaged a density of 562.1 per square mile (217.0/km²). The racial makeup of the city was 70.10% White, 22.11% African American, 0.50% Native American, 0.83% Asian, 0.02% Pacific Islander, 4.92% from other races, and 1.51% from two or more races. Hispanics or Latinos of any race were 10.31% of the population. Of the 28,363 households, 33.2% had children under the age of 18 living with them, 48.9% were married couples living together, 14.5% had a female householder with no husband present, and 32.6% were not families. About 27.9% of all households were individuals who lived alone, and 10.7% of all households were 65 years of age or more and living alone. The average household size was 2.50 and the average family size was 3.06. The city's population had 26.7% under the age of 18, 10.8% from 18 to 24, 28.7% from 25 to 44, 20.4% from 45 to 64, and 13.3% who were 65 years of age or more. The median age was 34 years. For every 100 females, there were 93.0 males. For every 100 females age 18 and over, there were 89.4 males. The median income for a household in the city was $33,858, and for a family was $42,378. Males had a median income of $33,078 versus $21,400 for females. The per capita income for the city was $15,676. About 13.0% of families and 16.0% of the population were below the poverty line, including 22.7% of those under age 18 and 10.6% of those age 65 or over. Longview's tallest building is 10 stories and houses the Citizens National Bank. When it was built in 1956, it was built to be able to be expanded to 17 stories. Good Shepherd Medical Center is located on U.S. Highway 80 in north Longview. The economy in Longview is healthy. Despite a national downturn in the housing market, Longview has been growing, and home prices continue to rise. Some major sectors of the Longview economy include the East Texas Oil Field, services, technology, and manufacturing. In 2007, Longview added some major chain stores to its north side. The addition of Kohl's, two Starbucks, a new Target, a third Walmart supercenter on the south side, and a handful of hotels means Longview is becoming a regional hub for shopping. Keeping shoppers in Longview and away from Tyler, Dallas, and Shreveport has been an important strategy for the city. Most new construction has been located on the north side around Hawkins Pkwy. and US 259, with lesser development on the south side near Estes Pkwy. In October 2007, Longview was recertified as a Texas Urban Main Street City. There are 89 cities in the Texas Main Street Program, 10 of them are Urban Main Street Cities. In December 2007, Longview was awarded the "Certified Retirement Community" designation by the Texas Department of Agriculture through its "Go Texan" initiative. Longview was also included in 2007 in the "Top 100 Best Cities for Young People." Longview is one of several cities in East Texas that serves as a center for the "patent troll" industry, due to a perception that the United States District Court for the Eastern District of Texas is a favorable venue for patent infringement plaintiffs. According to the its most recent Comprehensive Annual Financial Report, the city's various funds had $75.9 million in revenues, $87.7 million in expenditures, $47.6 million in total assets, $9.0 million in total liabilities, and $12.2 million in cash in investments. Longview is represented in the Texas Senate by Republican Bryan Hughes, District 1, and in the Texas House of Representatives by Republican David Simpson, District 7. The Texas Department of Criminal Justice operates the Longview District Parole Office in Longview. Longview is part of Texas's 1st congressional district, which is currently represented by Republican Louie Gohmert. The United States Postal Service operates the Longview, Downtown Longview, and Northwest Longview post offices. Hallsville Independent School District – enrollment 4,037, six schools, home of the Bobcats, serves far east Longview around Harrison County. LPL – the main branch located on Cotton St.
BBL – Broughton Branch Library located on South Martin Luther King Jr Blvd. The Longview airport is home to the flight training program of LeTourneau University. The aeronautical students do classwork at the airport, as well as all their flight training. The city's public transit system, Longview Transit, runs daily routes, excluding Sundays and holidays. Its fixed routes provide transportation to key districts throughout the city. City of Longview Transit (COLT) provides transportation demand-response transportation services for those who are unable to use the regular Longview Transit fixed-route service. Amtrak passenger rail service is available on the Texas Eagle through a downtown terminal. Longview's Amtrak station is the second-busiest in Texas and the fourth-busiest station along the Texas Eagle route. Daily trains between Chicago and San Antonio stop each morning (Chicago–San Antonio) and each evening (San Antonio–Chicago). Monday, Wednesday and Friday, the Longview station serves the Chicago to Los Angeles trains. The return train, Los Angeles to Chicago, stops in Longview on Sunday, Tuesday, and Friday. It serves about 20–50 passengers per day. From the station, passengers can connect to Nacogdoches, Houston, and Galveston, as well as Shreveport, Louisiana, by motorcoach. A proposal is in the works for a high-speed rail system from Dallas/Fort Worth to Shreveport along the I-20 corridor. Longview is served by two freight railroad lines. Burlington Northern Santa Fe Railroad operates two trains daily through Longview. The Union Pacific Railroad has 25 daily trains through Longview's facilities. The Longview Economic Development Corporation website provides more details about the transportation infrastructure, including air, rail, trucking, waterways, and highway information. Many maps are also available. One Interstate freeway and two U.S. highways run through Longview. Four Texas state highways also run into Longview. Two Texas state highway spurs serve to connect highways in Longview. Interstate 20, an east–west freeway, connects Longview to Dallas, about 125 mi (201 km) to the west and to Shreveport, Louisiana, around 60 mi (97 km) to the east. U.S. Highway 80 runs through the central district of Longview. U.S. Hwy 80 was once a coast-to-coast highway from Tybee Beach near Savannah, Georgia, and ran continuously across the southern part of the United States to San Diego, California. Today, its western terminus is in Dallas, making the length only 1,032 mi (1,661 km). 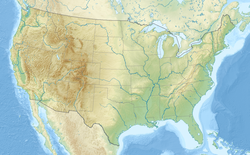 U.S. Highway 259 is a 250-mile-long (400 km) north/south highway providing an alternate route to U.S. 59 between Nacogdoches, Texas, and the Oklahoma/Arkansas border just south of Fort Smith, Arkansas. Before Interstate 20, US 259 went through the center of Longview on a route now designated Texas State Highway 31 and Spur 502. 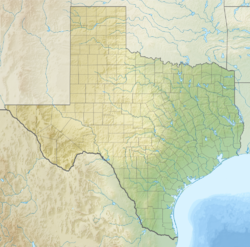 Texas Highway 31 runs 143.3 miles (230.6 km) east/west between Longview and Waco, Texas. Texas Highway 149, 33.9 mi (54.6 km) long, connects Longview with Carthage. Texas Highway 300 is a short (18.62-mile (29.97 km)) highway connecting Longview to U.S. 271 in Gilmer. Texas Highway 281 is a 19.3-mile (31.1 km) loop highway that circumnavigates much of Longview from its east connection at I-20 east of the Gregg/Harrison county line to I-20 in Longview. It runs northward, westward, southward and eastward around the city. Spur 502 connects north/south traffic between U.S. Hwy 80 in central Longview and U.S. Hwy 259 north of Longview. Spur 63 runs north/south through Longview connecting TX Hwy 31 at its Longview terminus with Spur 502 north of TX Loop 281. Longview is accessed easily by I-20, which passes 4 miles (6 km) south of the city center. New construction has prompted some major upgrades to the city's system of roads. Medians have been added to Loop 281 as Phase I of the project is nearing completion. Phase II of the project will upgrade the road to a six-lane parkway. Slated to start in 2009, TxDOT has informed Longview officials that the funds have been withdrawn, placing Phase II on indefinite hold. TxDOT is researching an outer loop around the north side of Longview to complete the East Texas Hourglass. The road will loop around Longview and Tyler and is slated to start in 2012. The new Interstate 69 will be passing just east of the Longview area between Longview and Marshall, near or over the current US 59 highway. The five major network stations in the market have local newscasts which all originate from Tyler. KYTX formerly presented a Longview-centered newscast, which ended in 2010. The station does still continue to broadcast Longview news from their Longview newsroom. The once-daily KFXK newscast is at 9:00 PM weekdays. The market does not have a dedicated PBS affiliate. The acting PBS affiliate, KERA-TV Dallas, is available on cable and Dish Network. KLTS, the PBS affiliate from Shreveport, is available on digital cable and over the air in many parts of the city. DirecTV viewers in the market receive the PBS national feed. The Harrison County portion of Longview is within the Shreveport-Texarkana market. Below is their channels. ^ a b "American FactFinder". United States Census Bureau. Retrieved January 31, 2008. ^ "Geographic Identifiers: 2010 Demographic Profile Data (G001): Longview city, Texas". American Factfinder. U.S. Census Bureau. Retrieved March 23, 2017. ^ "Longview, Texas Population 2018 (Demographics, Maps, Graphs)". worldpopulationreview.com. Retrieved June 30, 2018. ^ "Annual Estimates of the Resident Population for Incorporated Places: April 1, 2010 to July 1, 2015 (PEPANNRES) – Incorporated Places: Texas". American Factfinder. U.S. Census Bureau. Retrieved March 23, 2017. ^ "Annual Estimates of the Resident Population: April 1, 2010 to July 1, 2015 – United States – Metropolitan Statistical Area (GCT-PEPANNRES)". American Factfinder. U.S. Census Bureau. Retrieved March 23, 2017. ^ Kotkin, Joel (September 3, 2014). "America's Fastest-Growing Small Cities". Forbes. Retrieved September 3, 2014. ^ a b c Eugene W. McWhorter, "LONGVIEW, TX (GREGG COUNTY)", Handbook of Texas Online , accessed April 12, 2013. Published by the Texas State Historical Association. ^ Beth Holloway Dodson, "METHVIN, OSSAMUS HITCH, SR.", Handbook of Texas Online <https://tshaonline.org/handbook/online/articles/fme57>, accessed April 12, 2013. Published by the Texas State Historical Association. ^ Onion, Rebecca. "Red Summer". Slate. Retrieved March 7, 2015. ^ W., MCWHORTER, EUGENE (June 15, 2010). "LONGVIEW, TX". tshaonline.org. Retrieved July 7, 2018. ^ "Average Weather for Longview, TX- Temperature and Precipitation". The Weather Channel. August 2011. Retrieved March 16, 2008. ^ Roberts, Jeff (October 14, 2011). "How A Texas Dog Park Became A New Front In America's Patent Wars". Gigaom. Retrieved June 6, 2016. ^ "Post Office Location – Longview Archived 2010-12-06 at the Wayback Machine." United States Postal Service. Retrieved on May 15, 2010. ^ "Post Office Location – Downtown Longview Archived 2010-12-06 at the Wayback Machine." United States Postal Service. Retrieved on May 15, 2010. ^ "Post Office Location – Northwest Longview Archived 2010-12-07 at the Wayback Machine." United States Postal Service. Retrieved on May 15, 2010. ^ "Shreveport/Texarkana Market" (PDF). www.ktbs.com. January 20, 2017. Wikivoyage has a travel guide for Longview (Texas).